Hugo E. Almeida, has over 20 years experience in technology and communica-tions. His specialization and expertise is international business focused on servin the Latin American markets. He has a Bachelor of Science in Industrial Technology from Kean University, NJ. He lead the Latin American regional division for Matsu-shita Electric Works through 1998. 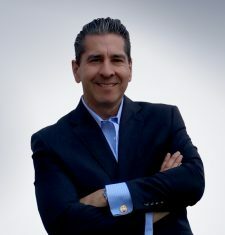 Followed by global executive sales positions for Lucent Tech- nologies and Avaya, Inc. Today, he is founder and President of the Almeida Barragán International (ABI) Group and Abitronix, LLC. As guest speaker at many i nternational round t ables and f orums, h e has p resented “ Latin A merica Business and Markets”, Directly to the executive board of Matsuchita in Osaka, Ja-pan. While traveling corpo- rately throughout all Latin America and the Caribbean he successfully held technical training seminars on some of the newest technological advancements in the Electronics industry. He most recently participated in Quito, Ecuador at the 10 year anniversary closing forum of the “LIDERES a LIDERES”, pre- Hugo has truly become a forefront leader and expert in the ever changing needs of today’s global markets.